Miladin Kovacevic, a Serbian basketball player, fled the United States after a bar brawl that left a fellow American college student hospitalized for months. Prosecutors have filed assault charges today against a former Serbian college student who jumped bail in the U.S. after beating an American Binghamton University student into a coma in 2008, according to a spokesman. 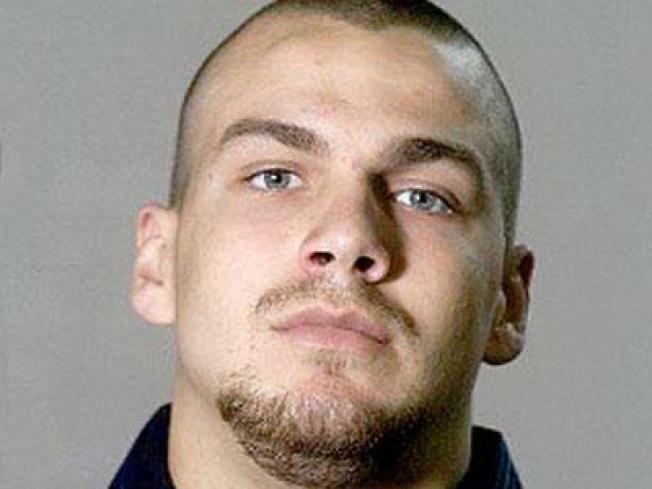 The 23-year-old Miladin Kovacevic has been charged in Serbia with inflicting "severe bodily harm with possible deadly consequences" when he beat Brian Steinhauer of Brooklyn in May 2008 in upstate New York, said the prosecution spokesman Tomo Zoric. Kovacevic, who also attended Binghamton, is charged with obtaining and using false passport to flee the United States after the fight in a bar near the college's campus, Zoric said. Two Serbian diplomats were charged in Serbia for supplying Kovacevic with the false passport, Zoric said. The 6-foot-9, 260-pound Kovacevic, who was playing basketball at Binghamton, has been accused of assaulting the 130-pound Steinhauer, repeatedly kicking him in the chest and head. Witnesses told police that the two men had exchanged harsh words after Steinhauer danced with the girlfriend of one of Kovacevic's friends. Kovacevic faces about 10 years in prison, if he's convicted.